Town and Community Councils in Powys are introducing a new recycling scheme, developed by Welshpool-based charity Cae Post, to deal with unwanted plastic film. Mayor of Brecon, Councillor Ieuan Williams, at the launch of the plastic film recycling scheme with Chair of Cae Post, John Harrington. 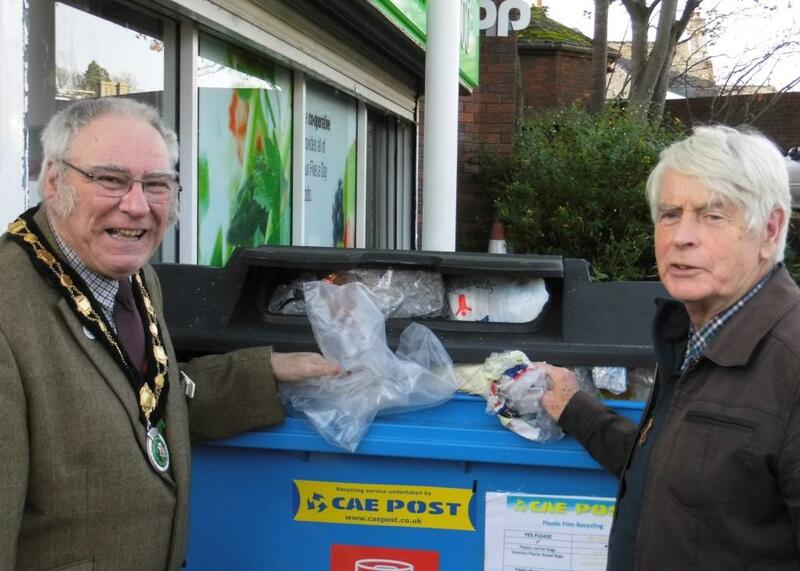 Following the decision by Powys County Council to stop the collection and recycling of plastic film, waste and recycling experts Cae Post were approached by a number of Community and Town Councils to see if they could fill the gap. Although Powys County Council no longer offers recycling collections for plastic film and suggests disposing of it with household refuse, stretchy plastic film items, such as carrier bags, magazine wrappers, bread bags, frozen food bags, cling film and bubble wrap, can be recycled. Cae Post is working with eight councils in Powys, including Brecon Town Council, to roll out its new film recycling scheme and the results to date have been very encouraging. John Harrington, Chair of Cae Post said: “We are pleased to be working with councils in Powys, such as Brecon Town Council, to manage plastic film recycling for their communities. “The environmental impact of plastic film should not be underestimated. Studies suggest that plastic bags, for example, can take anywhere between 20 and 1,000 years to degrade, if they degrade at all in modern landfill sites. In fact, many countries around the world have now banned them. So, if we are going to use items made from plastic film, it is important that, as a society, we do what we can to recycle them. While it is true that plastic film can be difficult and expensive to sort from other materials by mechanical means, Cae Post has maintained its manual sorting capacity and so is happy to offer this service. 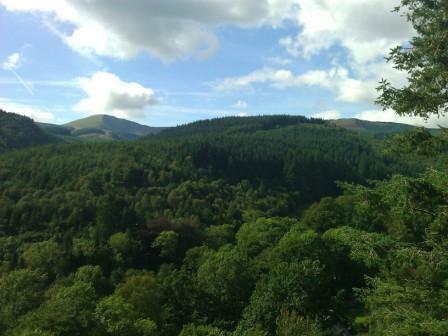 The other Community and Town Councils in Powys that are trialling the scheme include Banwy, Castle Caereinion, Dwyriw, Llangunllo, Llangynidr, Llanwrtyd Wells and Trewern. If your community group or organisation would like to find out more about plastic film recycling in Powys, contact Cae Post on 01938 570426 or email info@caepost.co.uk. This entry was posted in Cae Post, Charity, Environment, Social enterprise and tagged Brecon, Cae Post, Charity, environment, Powys, recycling, social enterprise, Welshpool on November 14, 2017 by Ethos public relations news. Cae Post, the Welshpool based social enterprise which is celebrating its 30th birthday this year, is looking for people to share their memories to mark this important milestone. 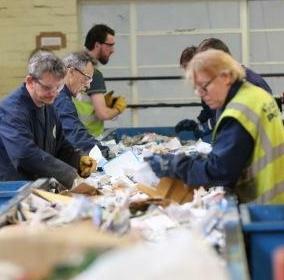 Cae Post provides employment to disabled and disadvantaged people in and around Welshpool through the delivery of waste management and recycling services across Mid Wales and North Shropshire. To celebrate its 30th anniversary, Cae Post is putting together a ‘memory book’ to bring together the thoughts and impressions of the people who have been involved with the organisation over the years. Cae Post started out in 1986 as a small ‘not for profit’ community business set up by a group of parents, professionals and supporters, to help create work for people with learning disabilities. It has now become a highly successful social enterprise providing work opportunities to many people who are disadvantaged in the labour market. “In the beginning, we operated a residential and employment project for young people with learning disabilities at a cottage called ‘Cae-Post’ in Pool Quay (hence our name!) providing real work and ‘ordinary life’ experiences,” explains John. As a social enterprise, the income generated from Cae Post’s business is used to fulfil its objectives to give more people a chance to be part of the working world. If you would like to share your memories, please email info@caepost.co.uk, with your thoughts about what Cae Post means to you. Click here to find out more about Cae Post and their achievements over the last 30 years. This entry was posted in Cae Post, Charity, News, Social enterprise and tagged 30th birthday, Cae Post, disability, environment, recycling, Welshpool on October 11, 2016 by Ethos public relations news. It must be about 16 years since I was last at the Centre for Alternative Technology (CAT) near Machynlleth in Mid Wales. 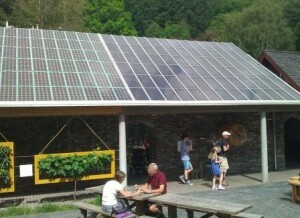 For those that don’t know of it, it’s a pioneering education charity based in a former slate quarry, which has used the site to trial a number of alternative technologies over the years, and today it is using many of them still to power the site. When I visited the Centre for Alternative Technology in the early days of Ethos public relations it was to discuss an ethical online web portal, which one of our clients was involved in. Times have certainly changed as far as the internet is concerned and, no doubt, that’s true in the field of alternative energy technologies too. I remember arriving at the site of CAT the first time, after a beautiful train journey from Manchester, and being impressed by the water-balanced cliff railway which takes you from road level up to the visitor centre. As with many of the technologies showcased at CAT, the cliff railway works using the simplest of technologies, namely gravity. The two carriages are linked by a steel rope and when one goes down due to the combined weight of its passengers and water tank, the other carriage travels up the cliff face, with some stunning views. On my recent visit, another ancient technology was being displayed, though with a modern twist. Burning wood for cooking and heating can hardly be described as an alternative technology, given that millions of people around the world rely on it day in and day out, but at CAT there is an innovative display of boilers that use wood pellets to produce both electricity and heat. Obviously, managed properly wood is a sustainable fuel and so provides an alternative to fossil fuels. If we want to work towards a zero carbon economy, then this might be part of the solution. For many years, I have thought that solar panels for domestic and industrial premises should be fitted as a matter of course instead of roofing tiles, rather than on top of an existing roof. At CAT, that’s what they have on the café. Over the past 16 years many things have changed dramatically in the field of low carbon energy generation, whether that is the growth of offshore wind energy generation or the increasing number of homes with photovoltaic cells on their roofs, but what we still have not seen is a widespread belief in using alternative technologies from the start of a project rather than as an add on. But there still seems to be a lot of antipathy to wind and solar, in spite of their obvious benefits. Ethos public relations has worked with community biodiesel and community wind energy operators in the past and have, in a very small way, helped get the message out about the benefits of reducing carbon dependency. There is still much to be done. This entry was posted in Blog, Environment, Ethos public relations, News, Uncategorized and tagged Charity, environment, solar, wind energy on September 2, 2016 by Sean.